Inworldz Art | InWorldz Community Rag! ArtWorldz is a group devoted to publicizing and celebrating the visual arts in InWorldz. ArtWorldz Gallery, built in July 2012, houses the art of many of our group members who are artists via juried submissions. Submission calls are announced within the group with specific instructions to follow, should you be interested. Our first open showing was September 1st 2012. The ArtWorldz Gallery can comfortably accommodate 12-20 artists in each showing. There is a nightclub in the center for openings called “Visualizations” and an upper level cafe’ called “The Three D Cafe’ “where people can enjoy coffee, tea, food and desserts while being surrounded in beautiful 3D sculpture art! Our plans are to change artists about every 6 months, with occasional club parties at Visualizations “In Gallery” Club for opening, closing and mid showing. Is located at the ArtWorldz Sim. Staff meetings and submission selections, kiosks and planning for events and website additions will take place here. Our virtual haven for all things ArtWorldz related. Look for feature articles, events and photos. Interact and make ArtWorldz a part of YOUR world. show the website to your friends on other grids and let them know we are here! This system is the future of ArtWorldz. There will be a kiosk for touring participating galleries in InWorldz as well as a HUD for choosing galleries from. Galleries will be featured on a website list with information and photos. Look for announcements soon! We would like to invite you to join the ArtWorldz group which is open to all Artists, Galleries, and those in the general public with an appreciation of the visual arts. may send up to 3 group notices per day for big events and festivals, 1 notice daily for single shows, galleries or artists. They may also initiate group IMs, meet and socialize in chat. May join existing group IMs and receive notices of events, openings, festivals and sales. 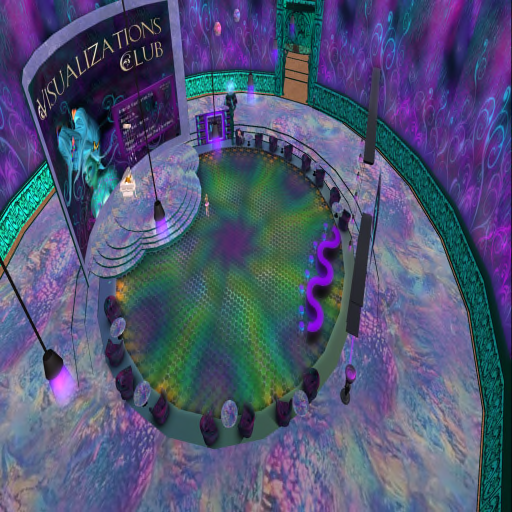 Please join us today in helping the InWorldz art scene grow even bigger and better! And pass on a copy of this NC to anyone you think would be interested, and don’t forget your friends on other grids as well. Find us through Search or Contact any of our management team for a group invitation and for posting permissions for Artists and Gallery Owners.